Are you one of many people who struggle synchronizing their vocals and hands while playing the guitar? You know very well that you can play the song. You can also sing the song quite well, but the skill all goes away when you try to do both at the same time. Well, playing a guitar and singing can be challenging for a beginner. In order to effectively pull it off, one needs to have a good timing and a sense of rhythm to be able to perform both of these actions. However, like almost everything you need to master when playing a guitar, singing while playing a guitar can be easily learned through helpful tricks. Remember that like a pianist who uses both of his hands to play 2 different rhythms simultaneously, or a drummer who makes use of all his limbs to play the drums, you can also do strumming and singing seamlessly. Stop thinking that singing and playing guitar are two distinct things. Instead, think of it as one and set your mind into default because concentrating too hard on both can just mess them up. Before you begin mastering singing and playing the guitar at the same time, it’s wise to start with the basics. 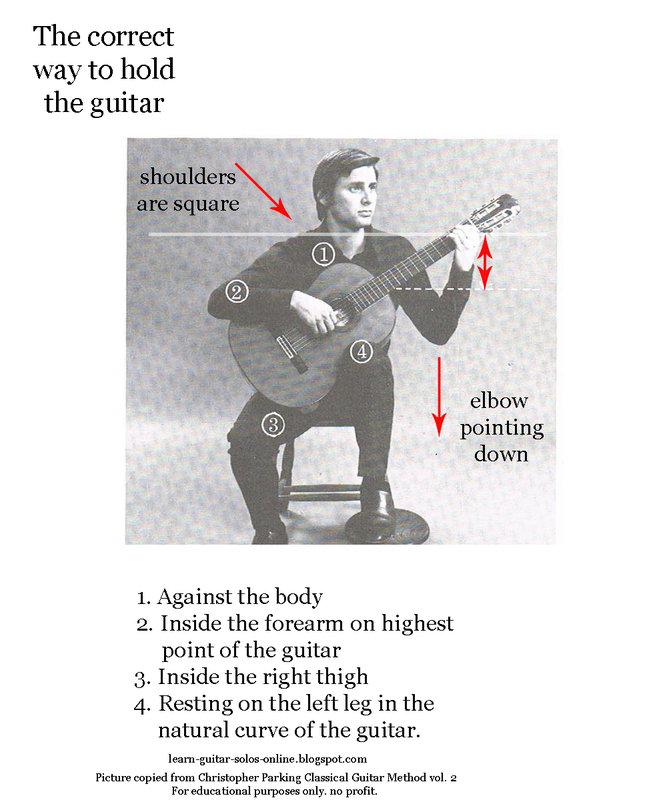 Practicing good posture when playing the guitar will make you feel more relaxed, giving you the proper foundation to support your body and the guitar. To effectively master the skill, do not choose complicated songs that don’t match with your level. Even though that song could be trendy or your favorite, it will only leave you unhappy and frustrated. Start with easy songs you know very well. Like the songs with simple lyrics and a chords, or a song with simple strumming pattern like “Happy Birthday”. Listening to the song frequently could also help you master all the aspects of the song, including the lyrics, tune, rhythm and the timing. Trying to remember a certain chord formation can make singing next to impossible. Before starting to play a song, make sure you know all the chords the song use and start trying when you can effortlessly change from chords to chords. You also need to be comfortable with your strumming technique that you don’t even have to mind it. This way, you can free your mind from it and concentrate on the singing. Spend at least 10 minutes regularly practicing your strumming skills using a metronome. Although the device can feel restrictive at first, it will help you become a consistent guitar player with better rhythm and timing. If you do this every day, you can notice significant results after a few weeks of practice. Master the song on your guitar until you memorize and can perform it without errors. One way to tell that you have mastered playing the song on your guitar is when you are able to carry a conversation, or watch the television at the same time and you are still able to perform it flawlessly. After mastering the song on the guitar, now is the time to put your instrument down and concentrate on the singing. Memorize the lyrics and know the tune while singing it out loud. Practice singing with a recording, sing while you shower, sing to your pets and when you can sing the song without a problem, by then you can start to try synchronizing things up. A better suggestion is to write up the lyrics on a piece of paper, study them and put notes on it. Some people even put different symbols to help them know when they would change chords at a particular syllable in the lyrics. This way, you can visually memorize the things you need to do and remember them even without using the note. Singing with a muted strums can also help you sync with your playing. Just feel the clicking sounds of the muted strums and you’ll master the melody of the song you are practicing. 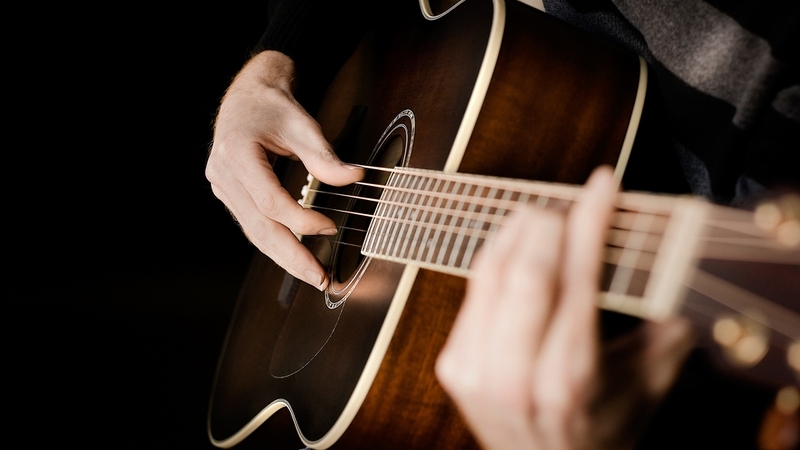 If you find it difficult to sing while playing guitar, it might be helpful if you hum the song first while playing. This will help you get used to chord changes without concerning for the lyrics just yet. Once you get the hang of humming the song first, you’ll slowly become quite comfortable to start singing it with the lyrics. Although slowly, it is way better to master singing and playing the song line by line until you can play the song through without having any problems. Speed will just follow once you’ve straighten out all the kinks while playing the song. If you can do both without a problem, you can even assess what kind of a singer you are and what type of music suits your voice. If you are playing a song that needs finger picking, you might want to take a few steps back and start with simple strumming at first. Once you hit the song down using this one, try a more complex pattern of strumming and eventually, until you master finger picking. Finally, learning that incorporating vocals while playing guitar can be simple but it requires dedication and practice. Even once you have mastered all the basics of playing guitar, you will continuously add song to your repertoire and some songs can somehow mess with your timing and rhythm. When events like this happens, you know what to do and follow these helpful tips, and surely, singing while playing guitar would never be problem anymore. Work on your multi-tasking abilities and let your subconscious take in charge. Most of guitar players I know learn this skill over time without even thinking of this as a problem.